1. 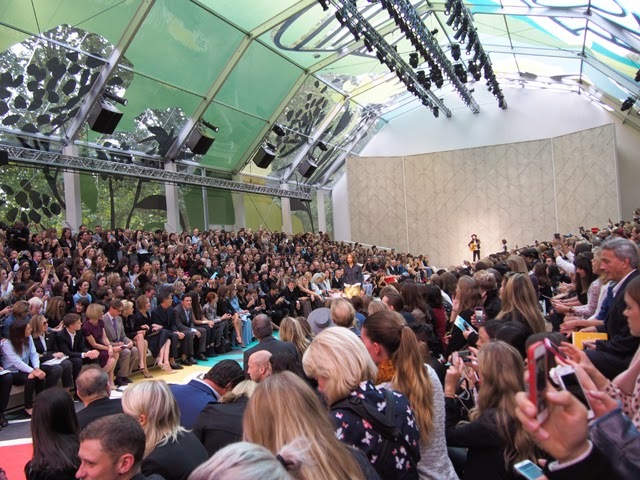 Dakota Johnson was sitting front row with Anna Wintour and co at Burberry this season. Why does this name sound familiar? Well, Dakota plays Anastasia Steele in the forthcoming movie release of Fifty Shades of Grey. Could Miss Fifty have something coming up with Burberry as well? 2. James Bay provided the soundtrack for the entire show. He stood, with his guitar, at the top of the runway and serenaded the models as they stomped down the length of Kensington Park. 3. 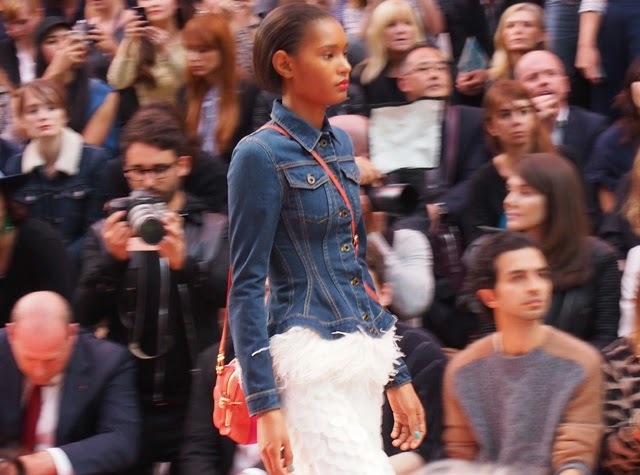 The denim jacket got a Christopher Bailey makeover this season. 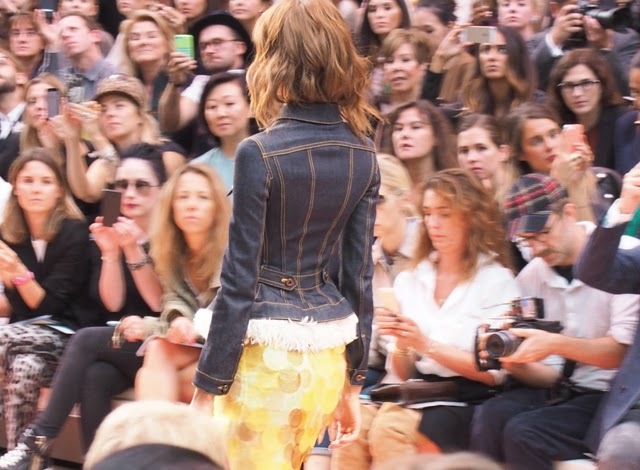 Burberry's denim jacket is fitted like a corset and features some lovely embellishments. 4. 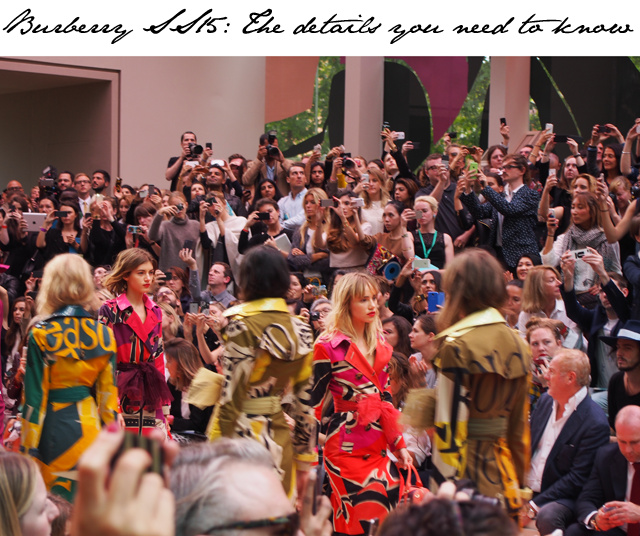 If you want to rock the Burberry look for SS15 early, tie a sash on it. It's all about the waist this season and Christopher Bailey has his girls tied tightly. 5. Jourdan Dunn.... there's no more to say. She looked absolutely gorgeous, had a bob the whole audience was envying and just basically was THE face of the show. 6. 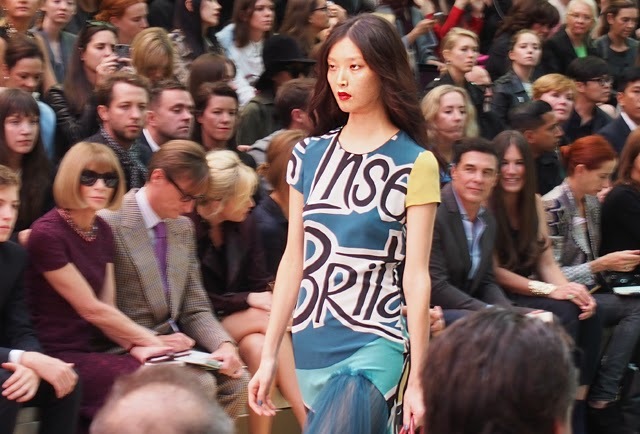 The writing's on the fabric at Burberry this season. Graphic, fabulous and bold as all get out. 7. 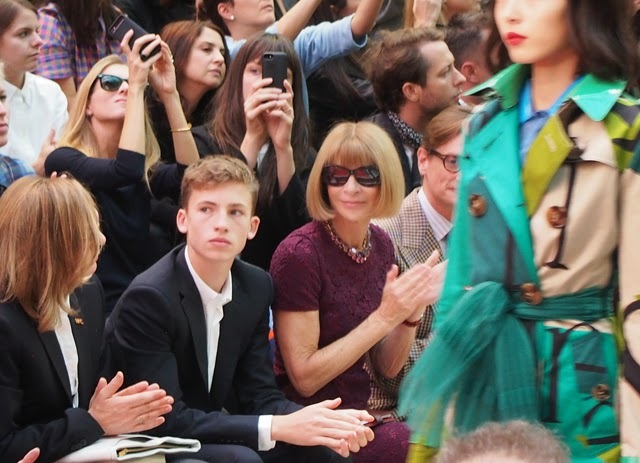 The Burberry show was so good that Anna Wintour actually smiled. Well, sort of smiled. 8. 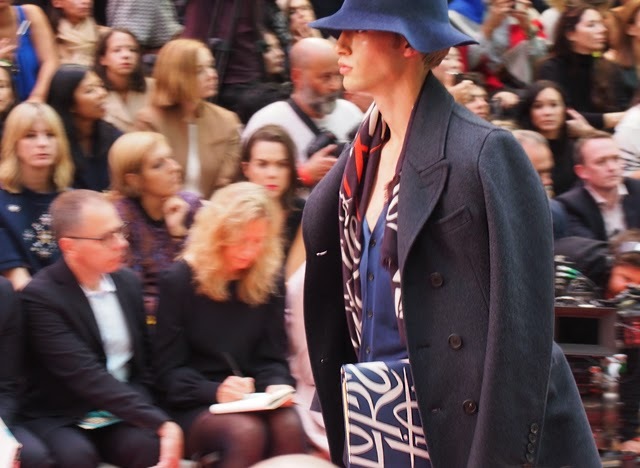 The Burberry man for SS15 seems to be an artistic, sensitive soul. 9. Sequins, ladies and gents. Embrace giant, apple size sequins for spring. Tis all about a statement. 10. 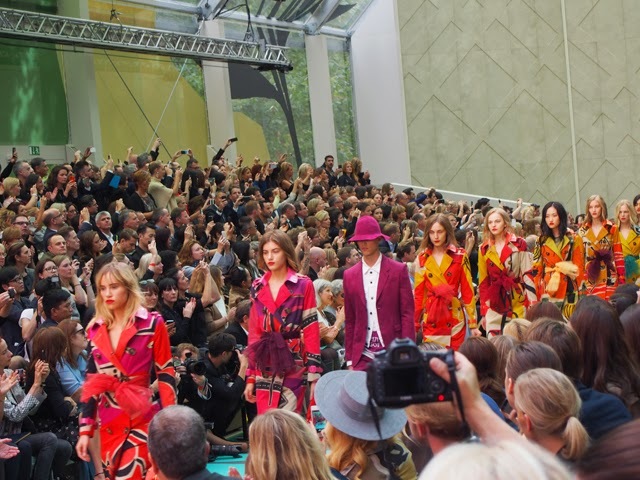 Suki Waterhouse closed the Burberry show. 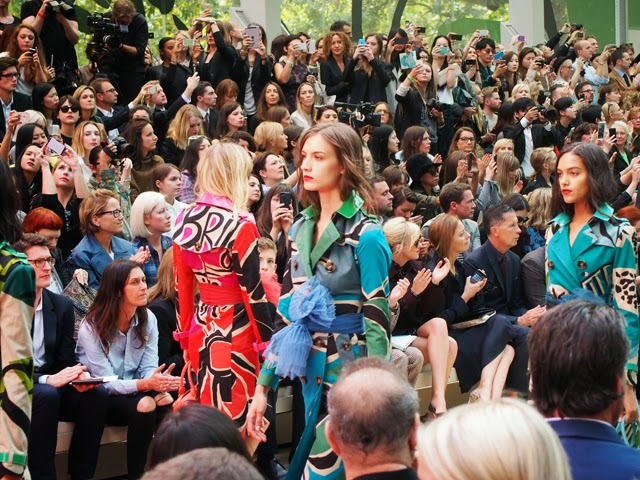 And in case you are wondering where Cara Delevingne was on the catwalk - she was there. Cara wasn't walking, however. Cara was a suited up front row guest of the show.